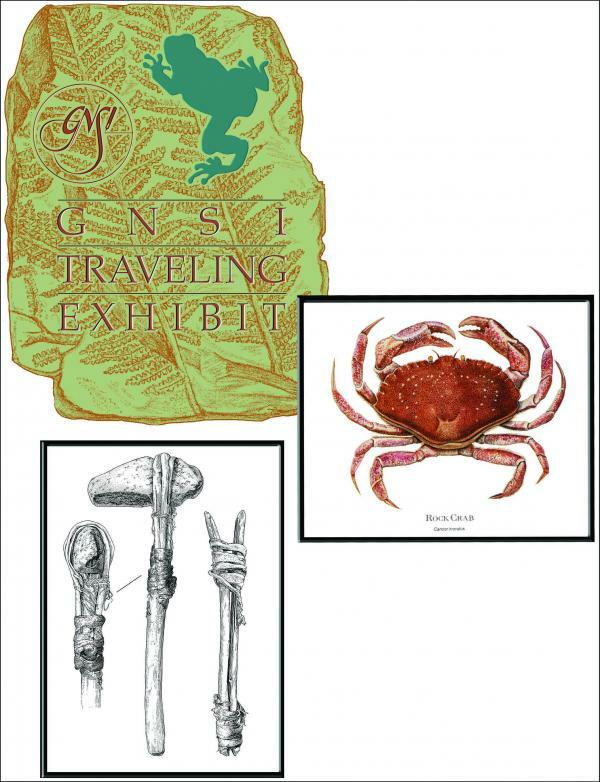 GNSI offers the Guild of Natural Science Illustrators’ Traveling Exhibit for rent to members and the public. The exhibit showcases reproductions of more than 20 years of natural history illustrations, including a wide selection of time-honored techniques. The Traveling Exhibit includes 19 illustration reproductions including botanical, zoological, anatomical and other subject matter. The images are in simple 16.5” x 20” black frames, glazed with Plexiglas. The exhibit also includes 49 unframed reproductions. The exhibit can be borrowed for up to 6 weeks, but exceptions can be discussed. All borrowers will also be asked for a $200.00 security deposit to be returned if the show is sent back in good condition. Non-members are required to have a sponsoring institution associated with the exhibit. The exhibit is housed and shipped in a 36" x 24" x 8" Nimlock Shipping Case, and the entire exhibit weighs 120 lbs. Borrowers pay shipping to the host city and back, as well as the insurance for the shipping. Shipping costs vary according to the destination. To ship the exhibit from Connecticut to Washington might cost between $150-200, for example.